Here is where you'll find all of the miscellaneous bits and pieces that don't really fit anywhere else amongst these pages. You could find useful snippets of information of the ‘how to...’ variety, links to sites I find interesting, or tales of my Steampunk doings. Before we'd even entered the West Park I could hear the music of fairground organs and I could feel my spirits soar. What a splendid afternoon! 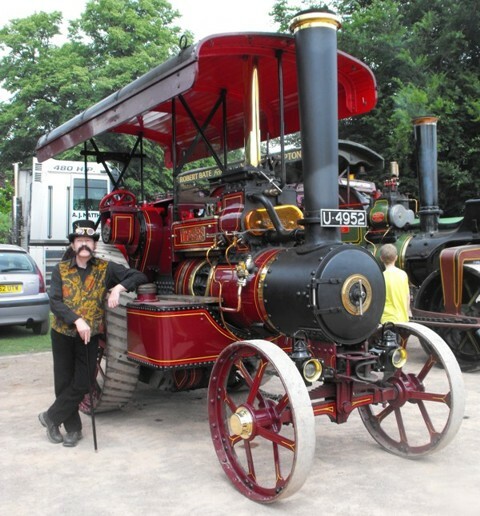 Steam engines of all sorts, stationary engines, model steam engines, vintage motor bikes, real fairground rides and much more - all under beautiful sunshine. Who could ask for more? If you're interested, I have made over 100 photographs available on their own page. Just follow the link.